Please check your email for the link to vote. Eric Cadena has spent the majority of his life actively involved in MSVMA. As a student, he participated in district and state level Solo and Ensemble and Choral Festival events. However, his milestone experience in high school was at the MYAF Gala Concert where he was a member of the Outstanding Choirs performance. This performance in vocal music solidified his pursuit of choral music education. This is Eric’s second year at East Lansing Public Schools teaching 6th-12th grade vocal music. Previously, he taught middle school and high school choir for ten years at Sturgis Public Schools. Throughout his tenure, his students have been participants in MSVMA sponsored Honors Choir, district and state level Solo and Ensemble and Choral Festival events. 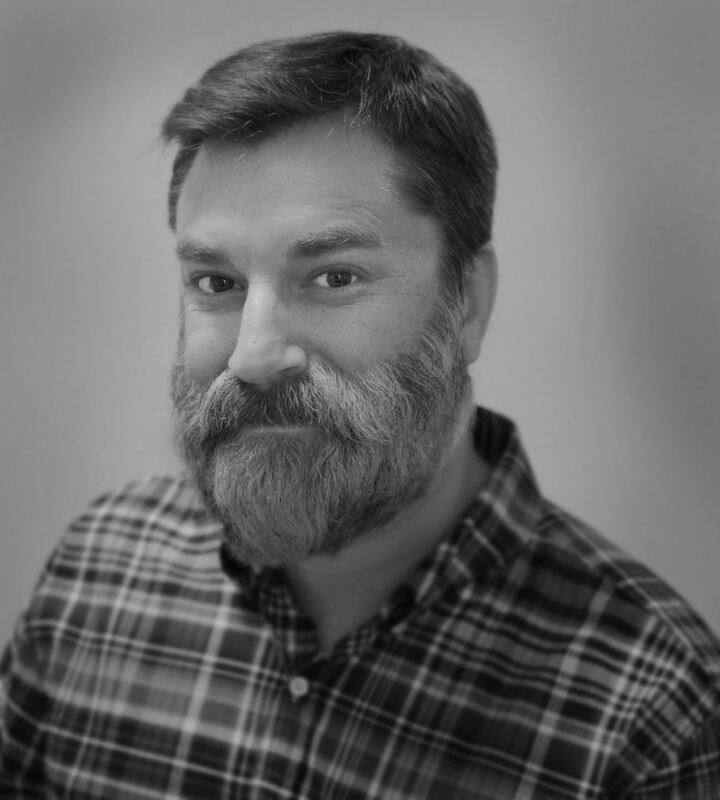 Eric currently serves MSVMA as Director of Summer Conference and Michigan Youth Arts Festival as well as the MSVMA Coordinator on the MMC Planning Committee. He recently served as a Summer Conference Supervisor and was formally the District 11 Manager for six years. He supervised and hosted the West Site Chamber Choir Festival while student teaching. During his undergraduate degree at WMU he served as President of their ACDA student chapter and worked in conjunction with the Region B Honors Choir site supervisor and host to solicit WMU student volunteers and facilitate the event operations. Eric takes initiative to perform tasks independently, consistently meets deadlines and works well with a team. He has gained the respect of his peers through his strong work ethic, high degree of professionalism, positive rapport and compassion. MSVMA provides students and educators with ample events, resources and professional development opportunities for musical and personal growth. Yet MSVMA continues to seek out ways to improve as an organization as it responds to the feedback of its members. The mission and vision of MSVMA strongly correlates with Eric’s passion to enrich lives with enjoyable experiences. 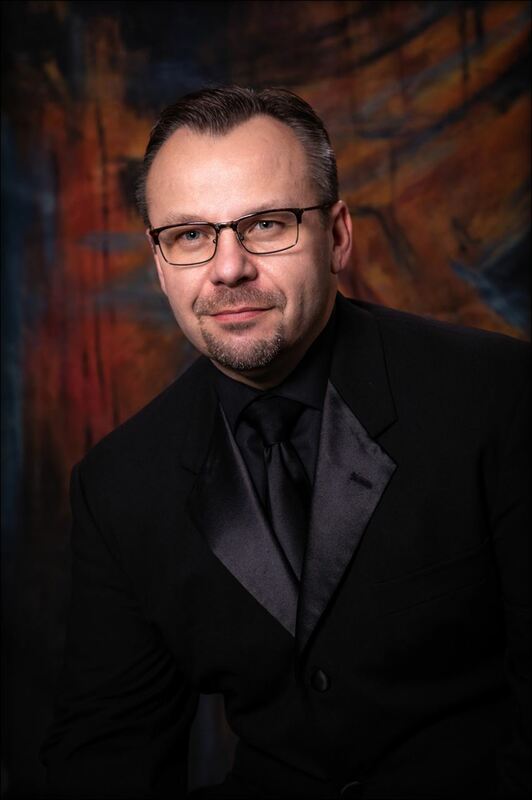 Various facets of vocal music continue to have high value with many individuals throughout Michigan and Eric would truly be honored to continue to serve on MSVMA’s Board of Directors. Kevin Cornwell graduated from Olivet College in 1988 with a Bachelors of Music Education degree. He is currently working on his postgraduate degree in Educational Leadership at Concordia University. Mr. Cornwell is the director of choirs for both Avondale Middle and High School. He directs three-to-four choirs at the middle school such as, 7th Grade Choir, 8th Grade Choir, 8th Grade Treble Chorus, and an afterschool glee club. At the high school, Mr. Cornwell directs five choirs which are Concert Choir, Women of Concert Choir, Men of Avondale, Women’s Chorus and Mixed Chorus. Mr. Cornwell is in his twenty-fourth year at Avondale School District. He created and started the vocal music program for both schools. Year-after-year, both schools participate in the Michigan School Vocal Music Association District and State Choir Festival and they have consistently receive first divisions, superior and excellence ratings at both the middle school and high school level. His choirs also participates in district and state solo and ensemble as soloists, duets, and ensemble members and many of his students receive first divisions, superior and excellent ratings at all levels. 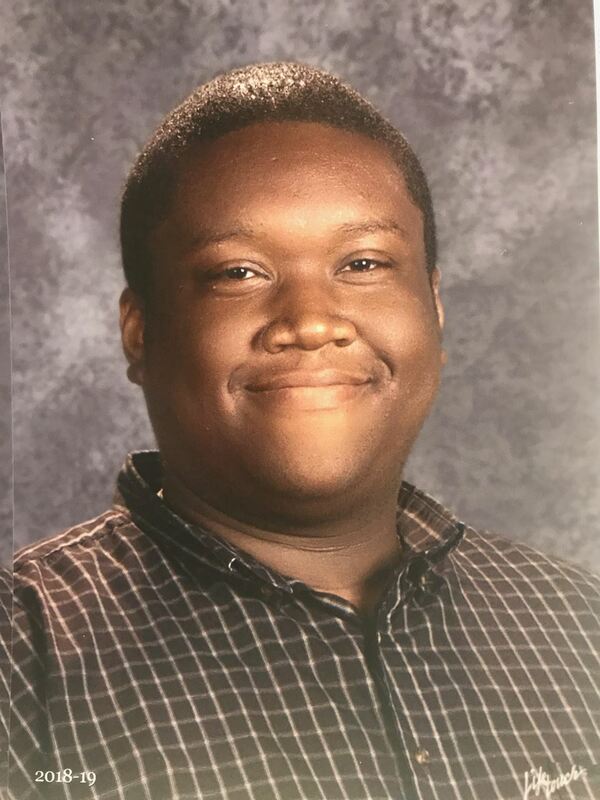 He’s also had multiple students be selected in the MSVMA 6-7-8-9 State Honors Choir along with the High School Regional Honors Choir, the State Honors Choir, and All-State Honors Choir. During his tenure at Avondale, he’s had the privilege to work with the incomparable, Moses Hogan along with having his choir perform under his direction at Carnegie Hall. Concert Choir got the opportunity to perform with Kenny Rogers in his Christmas Special at the Palace of Auburn Hills! His choirs have also been selected to perform at such amazing venues as the Fox Theatre, the Detroit Opera House, Pontiac Silverdome, and Comerica Park. His choirs also got the unique privilege to perform in the “Celebrate America” PBS special for five years straight. Along with all of his duties at Avondale, he is also an adjudicator for the Michigan School Vocal Music Association and has been a state honors choir director for the Middle School/ Junior High SATB Honor Choir in 2005. In January 2006, his 8th Grade Choir was one of the 1st middle school choirs to perform at the DeVos Place in Grand Rapids, Michigan at the Michigan Music Conference. In January 2010 a few years later, his 8th Grade Treble Chorus was selected to perform for the Michigan Music Conference too. His advanced choir name Concert Choir was selected as one of two high school choirs in the state to be selected as the 2017 “Most Outstanding” choir award for the Michigan Youth Arts Festival. To continue to create excitement for his choir program, Mr. Cornwell has taken multiple choirs both middle school and high school to the “Music in the Parks” festival and has received various awards such as “The Best Over All Choir” award, multiple “1st Place” Superior Choir Award, along with the most coveted award the “Esprit Corps. Award”. He loves being a role model and a father figure to his students. In service to MSVMA, James has worked as a clinician, adjudicator, JH/MS repertoire liaison, district manager, treasurer, fall clinic manager, and has hosted many Solo & Ensemble events. He was also the director of the Michigan State Honors Choir for JH/MS SA singers in 2009, and the director of the MMEA Elementary Honors Choir in 2015/16. James has led conference sessions at MMC and MSVMA summer workshops about developing middle school choral tone, guiding the heart of a middle school singer, tips and tricks for sight-reading, getting singers to work so you don’t have to, and has been a panelist for “Meeting of the Minds”. James’ Honors Choir has performed at past Michigan Music Conferences in 2004, 2006, 2010, 2013, 2016, and the Michigan ACDA Fall Conference in 2005. In the last three years, 13 of his NWMS choirs have received superior ratings at choir festival both in performance and sight reading; his choirs sight read at the intermediate and advanced level AND his 8th grade ladies read high school advanced. 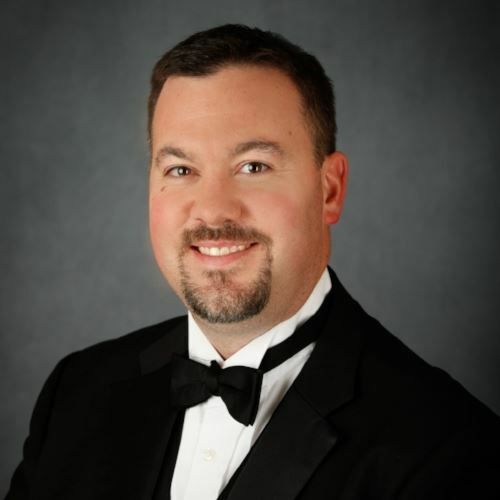 Beyond MSVMA, James has been hired as a guest conductor for the Boy’s PowerSing in Naperville IL, and has been a guest clinician at combined choir events in Muskegon, Roscommon, Grand Ledge, Watervliet, Jenison, Jackson area schools and more. In the spring of 2014, his 7th grade choir was also featured at a Music Education Convocation at Western Michigan University. This year will also mark the sixth summer of serving as a faculty member at Blue Lake Fine Arts Camp directing the SSA Choir for grades 7-9. Outside the walls of public education, James enjoys spending time with his family, playing basketball and tennis, going hunting, fishing, and canoeing, as well as directing the church choir and leading worship at Bethel Church. On a personal note, I am truly humbled to be nominated again as one of MSVMA’s “Teacher of the Year”. So many of you have invested in me. Much of what I do as a teacher is a direct result of teachers in Michigan guiding and shaping me and directing my practice. Thank you all so much! Kathy Cunningham has been teaching JH and HS vocal music in Michigan for 28 years. In addition, she directs musical theatre. She began her teaching career at Monroe Junior High School. Under Cunningham’s direction, the Monroe JH choirs received consistent ratings of I at festivals and performed twice at the Michigan Music Conference, in the MSVMA Choral hour and ACDA Choral Hour. Kathy received her Bachelor in Choral Music with a double major in Theatre/Speech from Central Michigan University and was blessed to be taught by Nina Nash-Robertson. Cunningham also taught choral music at Henry Ford College and Mid Michigan College. Kathy received her M.M. from Eastern Michigan University. While studying for her Master’s in music, Kathy was the Graduate Director of the Eastern Michigan University Collegium Choir. In addition, Cunningham received her MA in Teaching from Marygrove College. After moving to Gladwin schools 22 years ago, the choirs have grown from one junior high choir of 20 seventh and eighth graders with limited musical skills to two choirs of 135 students performing at Intermediate level. Gladwin High School had one choir of twenty freshmen through seniors that has grown to three choirs of 200 students performing Advanced level music. Her students are involved in all MSVMA activities. Gladwin’s choir students have been very active in Junior High and High School State Honors Choir. Kathy’s choirs have received consistent Division I/ Superior/Excellent with Superior Distinction ratings at both District and State festivals. Her choirs have also received numerous First Place awards and won Top Rated Choirs in National Choir Competitions in Los Angeles, New York, Toronto, Virginia and Chicago. For 22 years, Cunningham has directed and music directed her HS choirs in a Madrigal Dinner, which entertains 500-600 guests for two performances. Every spring, Cunningham music directs and directs the school musical. 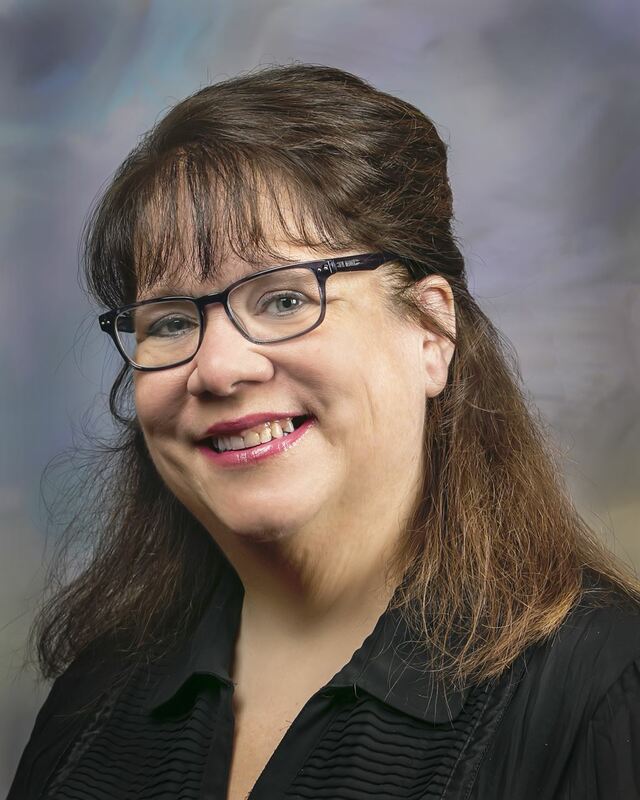 Kathy has served on the Full Board of MSVMA as the SSA Junior High Honors Choir Supervisor, District 9 Manager (twice) and is currently the State Central Solo and Ensemble Coordinator. Kathy is also on the Summer Workshop committee. In addition, she is a sought-after adjudicator and clinician. Cunningham has been a speaker at the MSVMA Summer Music Workshop and the Michigan Music Conference on numerous occasions. She was also the proud recipient of the esteemed Carolyn Leep Scholarship for graduate studies. In 2002, Kathy was elected the SATB Junior High Honors Choir Director and was thrilled with her 2009 election to the directorship of the SSAA HS State Honors Choir. Kathy and her late husband, Rob have two wonderful children, Jade (28) and Cole (20). Nathan Degner has been teaching for twenty-seven years. He began his career in Leland, IL, teaching K-12 band, choir, and elementary music. He moved to Michigan to marry his wife, Laura and taught K-12 vocal music in Imlay City before finally moving to Flushing, where he has taught for the past twenty-five years. During his tenure at Flushing, he has built the program from three 7-12 ensembles to eight, which includes two middle school choirs, three high school curricular choirs, and three extra-curricular ensembles. In addition to his choral responsibilities, he taught a music theory and a music history class via the distance-learning lab in Genesee County for fifteen years, as well as being the music director for twenty-three Flushing High School musicals. In 2005, the Flushing High School Music Department received the Michigan Association of School Boards’ Excellence in Education Award in Fine Arts for their Annual Holiday Collage Concert, which has been a community favorite for the past eighteen years. In 2008, he was selected as the Educator of the Year for Flushing Community Schools. His choir students have had great success in participating in every aspect of MSVMA, including State and District Choral Festival, State and District Solo and Ensemble, Honors Choir, and Michigan Youth Arts Festival. He credits the MSVMA organization and the many mentors, past and present, for any success he has had in this profession. Nathan has a BA in Music Education from Olivet Nazarene University and a Master in Choral Conducting from Michigan State University. For eleven years he was a member of the MSVMA State Board as a District Manager and has held the position of All-State Choir Supervisor for twelve years. In 2007, he was given the privilege of conducting the TTBB Men’s State Honors Choir, and he is an active adjudicator for MSVMA. Outside of his school duties, Nathan was an Assistant Director for the Interlochen All-State Choir for four years and the Junior Academy Choir Director for the University of Michigan-Flint Summer Program for two years. He is currently the Worship Arts Director at Flint Central Church of the Nazarene, where he was the orchestra director for the past twenty-five years. He and his wife Laura have raised two slightly above average children: Aaron, who is pursuing his degree in Music Education and Allie, who is currently majoring in English. 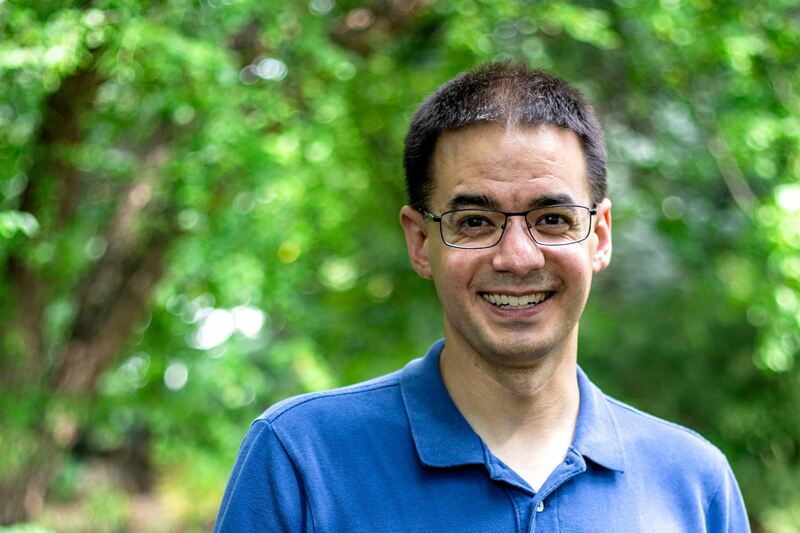 Andrew Hathikhanavala is in his ninth year as director of vocal music at South Lyon High School in the South Lyon Community School District, where he directs four curricular choral ensembles, two extracurricular choral ensembles, and teaches a piano class. He has previously taught at South Lyon East High School (2008-2010) and Lutheran High School Westland in Westland, Michigan (2002-2008). Mr. Hathikhanavala holds degrees from Eastern Michigan University (M.M.) and Concordia University, Ann Arbor (B.A. ), and has studied conducting with Leonard Riccinto, Trey Jacobs, Wendy Bloom and Bradley Bloom. His choirs have performed at the Michigan Music Conference MSVMA Choral Hour, the Michigan Youth Arts Festival, the Eastern Michigan University High School Choral Invitational, as well as in New York City, Washington, D.C., Chicago, Toronto, and Boston. Mr. Hathikhanavala is an active member of the American Choral Directors Association, National Association for Music Education, and Michigan School Vocal Music Association, where he currently serves as Region C Honors Choir and State TTBB Honors Choir Coordinator. He particularly loves introducing new and interesting music to his students. His favorite movie is Back to the Future and he hopes to drive a DeLorean someday. Presenting sessions at the MSVMA summer workshops in 2010, 2014 and 2018 is a passion of mine and has allowed me to share my knowledge of women’s choral literature and life experience. My significant organizational skills are why I served on the boards of ACDA, both at the Division and State levels, MSVMA as an Honors Choir Supervisor, and Delta Omicron as president of a professional music fraternity. My choral knowledge gives me the opportunity to be a clinician for area programs at the middle school, high school, and collegiate levels. East Kentwood High School, ranked the most diverse high school in the State of Michigan is where I have called home since 1989. Teaching in an extremely diverse setting is wonderful, challenging and rewarding. My Varsity Voices were selected as Outstanding Ensemble for the Michigan Youth Arts Festival in 2009 and 2010 and they were the Master Class clinic choir for ACDA-MI State Conventions in 2003, 2004, and 2006. I earned my Bachelor of Music Education Degree from CMU, under the amazing tutelage of Nina Nash Robertson and my Master of Music Degree in Choral Conducting from MSU, under the extraordinary leadership of Charles K. Smith. I raise bullfrogs and koi in my backyard pond as a way to alleviate stress and to connect with nature. I adore camping, reading romance novels and gardening. I am a soloist and cantor at my church, Trinity Lutheran, where I sing in the Trinity Choir and play in the Resound handbell ensemble. My husband Sid and I are the proud parents of daughters Georgianna, age 24 and Gwyneth, age 19. 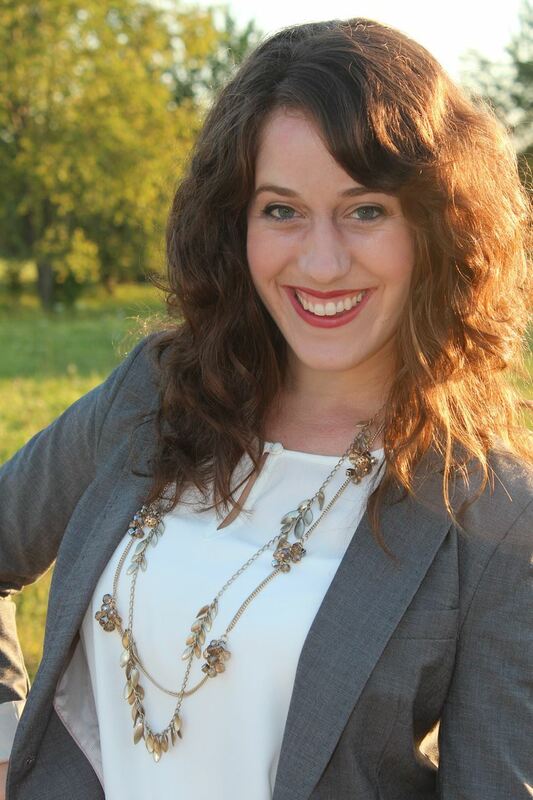 Julia Jenkins Holt is the Vocal Music Director at Eisenhower High School in Shelby Township, MI. She holds a Bachelor of Music in Vocal Music Education from Michigan State University and a Master of Music in Choral Conducting from Oakland University. 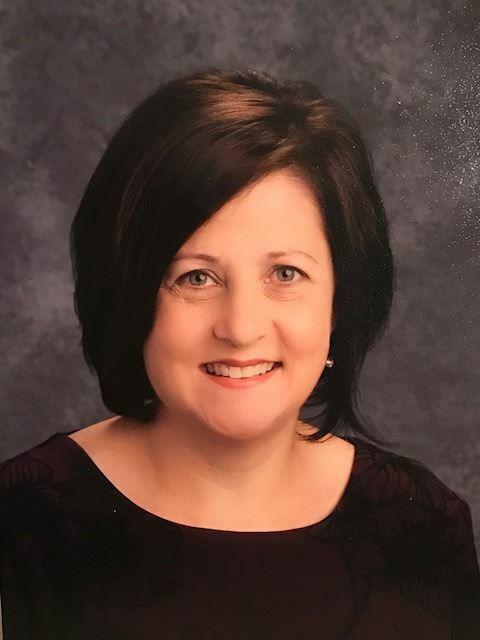 Julia was named the Macomb County High School Teacher of the Year in 2014 and is very active in MSVMA serving as the current Treasurer, current State Scheduling Coordinator, and former Co-Manager of District 16. She conducted the 2016 6-7-8 SA State Honors Choir and shares her love of music with the Kindergarten through 5th grade students in Kensington Community Church’s K-Rock program. Julia lives in Troy with her extremely supportive husband, Gregory, and their two budding musicians, Anna and David. For the past 18 years Darla has been teaching for the public school system in Grand Rapids. Though at times underfunded, these programs have grown into viable Choral ensembles reaching hundreds of students. Darla’s passion is for each student to experience the sheer joy of singing and being part of something bigger than themselves. She wants her students to be successful, feel successful and to pass on to the next generation the love of vocal music. MSVMA has provided numerous opportunities for students to explore their own potential. Festivals, Honors Choirs, MYAF, community performances, etc. have given her students the chance to experience the life-changing power of music through their own singing voice. She couldn’t ask for anything more. Bonnie Kidd began her career with the Ann Arbor Public Schools in 1994. She is Director of Choirs at Tappan Middle School and Co-Director of Choirs at Ann Arbor Huron High School. In 2006, Bonnie assumed the role of Concert Choir conductor for the Ann Arbor Youth Chorale, a community children’s choir. In 2010, Bonnie also became the Sanctuary Choir Director at First Baptist Church, Ann Arbor. Bonnie has been an active member of the MSVMA for the past 25 years. Her middle and high school choirs have consistently received outstanding ratings at both district and state level MSVMA events. Since 2006, the Huron Bel Canto choir has traveled to Europe five times, participating in multiple friendship concerts and competitions. In April 2006, her Huron High School Bel Canto Choir won the Gold prize, and a special judge’s prize at the Concorso Internazionale di Canto Corale festival in Verona, Italy. In January 2010, Bel Canto performed during the MSVMA Choral Hour at the Michigan Music Conference. In January 2011, Bonnie conducted the Junior High SSA State Honors Choir. In January of 2016, Bel Canto once again performed during the MSVMA Choral Hour at the Michigan Music Conference. Her Ann Arbor Youth Chorale Concert Choir has performed on many occasions with major symphony orchestras, including the Detroit Symphony Orchestra, The Flint Symphony Orchestra, the University of Michigan Symphony Orchestra, and University of Michigan Opera Theater. This season will mark their debut with the University Musical Society performing the Britten “War Requiem”. Bonnie trained as an opera singer at the Juilliard School. She received her Bachelors of Music degree in Vocal Performance from The Cleveland Institute of Music, and her Masters of Music degree in Vocal Performance from the University of Michigan. She has been happily married to her husband Robert for the past 34 years. Their son Sam is 22 years old and is a Senior at the University of Michigan, double majoring in Vocal Performance at the School of Music, Theater, and Dance, and Economics at the School of Literature, Science, and the Arts. Mark Krempski is currently in his twentieth year as co-director of choirs at Northville High School and twenty fourth year of teaching. In his tenure at Northville, the choral program hasdeveloped from 353 to over 570 students, gone from 6 choirs up to 12 choirs and an AP Music Theory class, toured with over 140 students every year in the Spring, including to New York, Chicago, Toronto, Boston, Montreal, and Nashville. His choirs have been selected to the Michigan Youth Arts Festival in 2003, 2006, 2010, 2014, 2016, and 2018, the MMC Choral Hour in 2009, 2013, 2015, 2016, and 2019, the ACDA State Convention 2011, 2012 have sung for Joseph Jennings/Chanticleer and appeared on Detroit Channel 7 News and Detroit Public TV. His students regularly participate in MSVMA State Honors Choirs and his choirs have consistently received #1 Superior and Excellent ratings at MSVMA District and State Choral festival and State Solo & Ensemble Festival. He has also served Northville High Schools as a sponsor of the Improv Club, and an assistant coach for women’s gymnastics. Prior to coming to Michigan, Mark studied music with Lee Kesselman at the College of DuPage, holds a B.S. in Choral Music Education from the University of Illinois at Urbana-Champaign, and a Masters in Choral Conducting from Florida State University. He has taught all levels K through college. 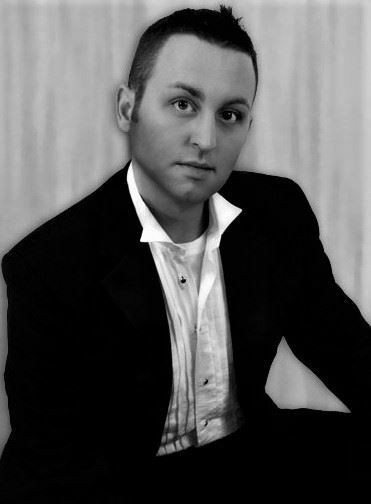 He has sung professionally in the Chicago area, Florida, Georgia, and Michigan. He sang with and was a tenor section coach for the Grammy Award winning University Musical Society Choral Union under the direction of Jerry Blackstone. He is a member of Pi Kappa Lambda, Mu Phi Epsilon, ACDA, MSVMA, MYAF and the National, Michigan, and Northville Educators Association. Mark has been a member of ACDA since 1992 and MSVMA since 1999. He has hosted eight (8) MSVMA Treble Choir Festivals, seven (7) District Choral festivals, and three (3) State Honors Choirs in past years. He has served on the MSVMA Board over 14 years as a District 12 Manager, Region C/State TTBB High School Honors Choir Coordinator, High School Honors Choir Supervisor, Executive Board Director of Honors Choirs, Michigan Youth Arts Festival Supervisor, President Elect, President, MMC and MYAF Planning committees and been a certified Choral Adjudicator since 2006. Matthew Laura has been teaching middle school and high school choir in Michigan for over twenty years. Following successful open-heart surgery in 2012, he walked away from teaching, concerned that the constant pressure of trying to achieve a specific result at performances, district and state events, honors choirs, and musicals had taken too much of a toll. Despite consistently high ratings, he wasn’t having the impact he desired. A few weeks into his retirement he took a long-term substitute position and remembered immediately why he loved teaching so much in the first place: the day-to-day process, the relationships, and the impact on young lives. He knew he needed to be in the classroom but had to find the right situation. In the fall of 2013, he began at Fordson High School teaching one choir of twelve girls, a piano class, a general music class, and a half-day of elementary general music. He was advised that, “…Arabs don’t sing. Just keep them in the classroom and everyone will be happy.” Finally, the perfect low-pressure position! A chance encounter in the fall of 2014 led to a meeting between Matthew and Michael Ibrahim, the Founder and Director of the National Arab Orchestra. Matthew was asked about the possibility of incorporating Arab music into his choir program. Despite his fears and complete lack of knowledge of Arab music, he agreed to collaborate on a single concert. From this humble beginning, Fordson has grown into a leader in sharing the music and culture of the Middle East. While Matthew’s choirs still receive high ratings at district and state festivals, that is no longer his focus. Instead, he works on presenting as many different opportunities to his students as he can and sharing those experiences with as many people as possible. He has incorporated Arab music into his Festival performances, he has developed collaborations with other schools—including Edsel Ford High School, Detroit School of the Arts, Dearborn High School, and Chelsea High School—to share Arab music and culture. He also presented at the 2018 Summer Workshop on incorporating Arab music into choir performances. Matthew’s innovative approach to social media has allowed his choirs to be seen by people across the country and internationally and has earned them invitations to perform in Los Angeles, Phoenix, New York, London, Paris, Madrid, and other major cities. Fordson’s collaborations have extended well beyond Arab music. Because they combine Arab and Western music in their performances, they are regularly requested for Christmas parties and Black Tie events. Since 2016, the choirs have performed at the Christmas Tree Lighting ceremony at Campus Martius Park in Detroit and the Spirit of Detroit Plaza; they have appeared on an ESPN documentary about Arab American students; they have performed for national and international conventions; they have sung for Congressional Medal of Honor winners; they have performed for Supreme Court Justices, Senators, and other prominent political figures throughout Michigan. In the 2017-2018 school year, Fordson’s Choirs performed over 80 times. Despite the busy schedule, the variety and impact of the work helps him maintain a sense of balance and perspective. In addition to conducting the seven choirs and nearly 300 singers at Fordson, Matthew assists in designing and implementing professional development for the secondary music staff in Dearborn, works as a consultant for Macroconnect on their Code to Compose program, and serves the MSVMA as an adjudicator and as High School State Honors Choir Supervisor. 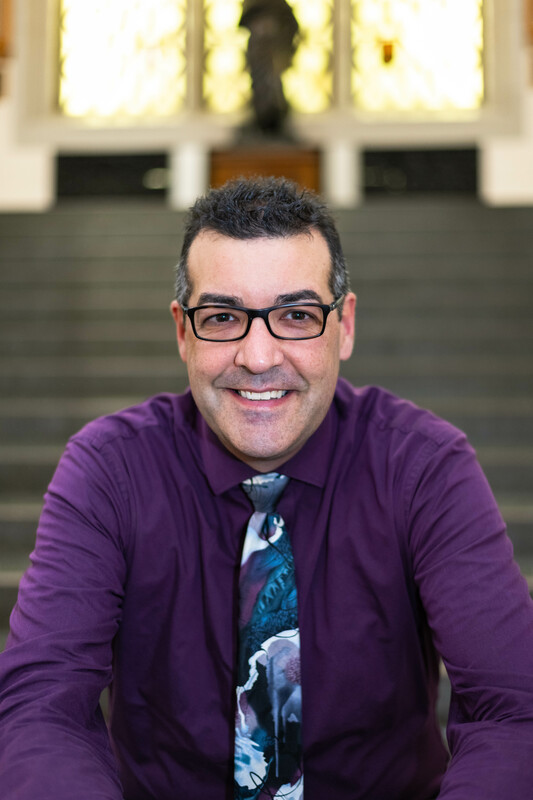 He has been a quarter-finalist for the Grammy Teacher of the Year award, been nominated for Teacher of the Year in Dearborn, received numerous Superintendent’s Awards for excellence in teaching, and been honored with the Michigan PTA Distinguished Service Award. An avid runner, Matthew can be found on most weekends competing in a 5k, a 10k, or a half-marathon. Brian accompanies and directs regularly. For the past several years, he has had the pleasure of working in a full time capacity for the choirs at Rochester High School in Rochester Hills, Mi. 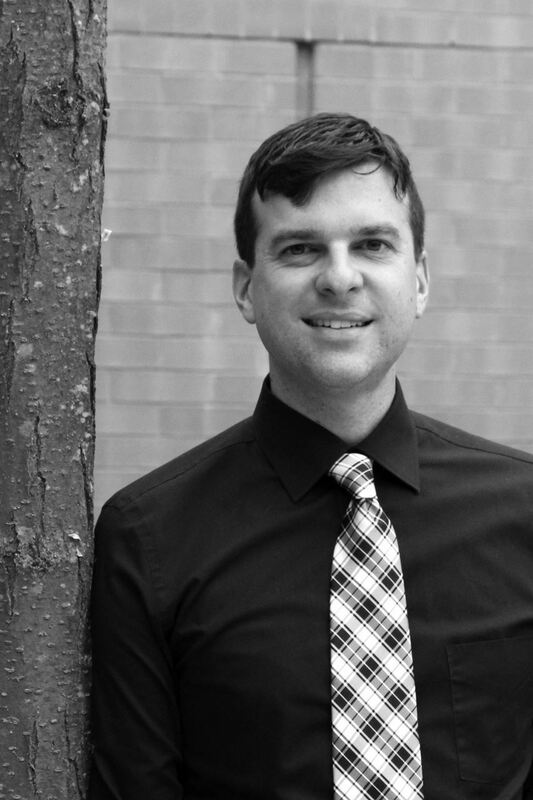 Following a 10 year post as Assistant Director of Music at Christ Church Cranbrook in Bloomfield Hills, Brian currently takes residence on the music staff at the Cathedral Church of St. Paul in Detroit. He also serves Assistant Director of the Festival Choir at Congregation Shaarey Zedek in Southfield, Mi. He is the Director of Cranbrook Theatre School, which operates under the Cranbrook Educational Community’s Special and Summer Programs, and introduces music and theatre to countless students every summer. With MSVMA, he has found much success working with choirs and soloists from across the state of Michigan as an adjudicator and a clinician. He also serves as Coordinator for State Choral Festival East. He is looking forward to working closely with the amazing team of music educators assembled at MSVMA to further the integrity and interests of sight reading, music selection, and adjudication programming within the organization. We are the music makers, And we are the dreamers of dreams... ... we are the movers and shakers Of the world for ever, it seems. My name is Kathi Letovsky and I am in my twentieth year as choir director for Hartland High School choirs. This year we have just under 200 students in six ensembles (when I began we had 70 students, which included 12 boys). We attend district and state choir festival and consistently earn top ratings. I attended Concordia University for two years, but ultimately transferred and graduated with my B.M.E.I. from Eastern Michigan University. I was hired at Hartland as assistant band director, with choir classes as part of my assignment. I was split between the high school and the middle school. As my choir program continued to grow, I became the 1st full time choir director at Hartland high school and never looked back. With concern for music programs being discontinued in Michigan (many years ago) I went back to Eastern and received my Masters in Educational Leadership. However the longer I taught choir, the more it became clear to me that helping kids “make music” was far more rewarding, so becoming a principal was not going to be an option, my choir family has become very important to me and is a huge part of my life. In my tenure at Hartland, our choirs have toured and performed in: New York, Walt Disney World, the St. Louis Basilica Cathedral, New Orleans, and Montreal Canada. We have hosted District 4 Choir festival, and the kids have a great time! Every year we send students to MSVMA district and state solo and ensemble and they too received top scores. I have had the pleasure of serving as vocal and pit direct for eighteen musicals with “Beauty and The Beast” and our most recent one “The Hunchback of Notre Dame” being my favorites. Outside of school my husband and I are also blackbelts in Tae Kwon Do, we have recently received our 4th degree, “Master” status. We help instruct classes, and run the school. I have 40 tournaments on my record, with two national championship titles to my name. Anyway, I love these kids, and anything that we can do to help them keep their heads above water, make good choices, and keep them on a path that will lead to success is all worth it every day, no matter what challenges we have to face. Sheri Petersen is enjoying her twenty-third year of teaching choral music, currently at Grand Ledge High School. 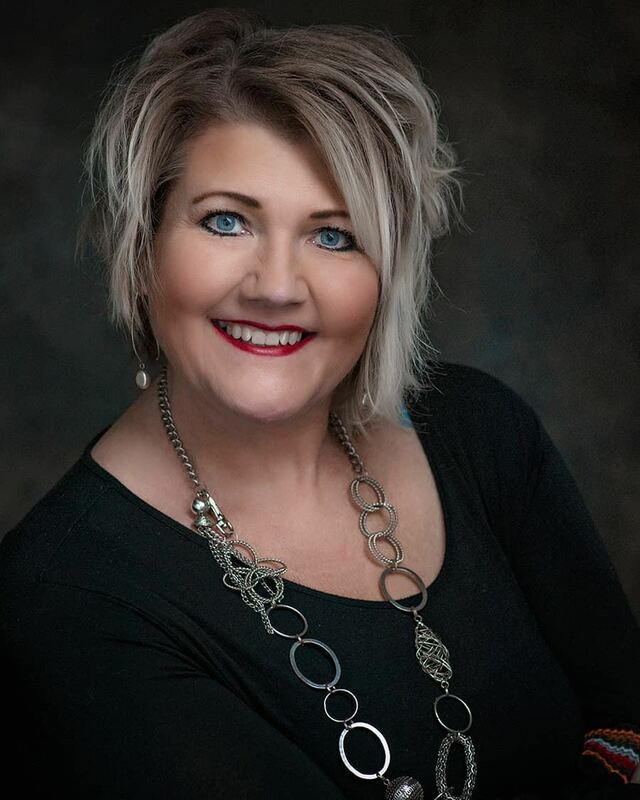 She has taught previously at Grand Ledge Hayes Middle School, Williamston HS and MS, Swartz Creek HS and MS, and Berkley Norup MS. Sheri earned her Bachelor of Music Education from Alma College and holds a Master of Music in Choral Conducting degree from Michigan State University. 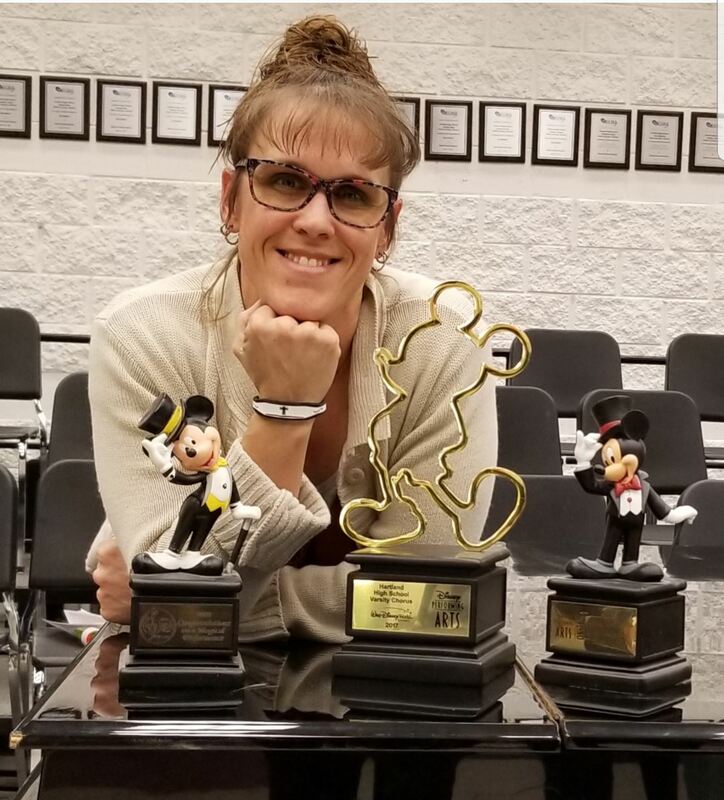 Sheri’s students consistently excel at MSVMA events such as Solo & Ensemble and Choral Festivals, both at the district and state levels; State Honors Choirs; All-State Choir; and Michigan Youth Arts Festival. The Grand Ledge HS Choirs perform yearly Masterwork concerts under her direction. The Grand Ledge HS Madrigals performed at the 2011 ACDA-Michigan State Conference. Sheri’s high school ensembles have been honored with invitations to sing in the Outstanding Ensemble recital at Michigan Youth Arts Festival in 2000, 2003, 2004, 2010 and most recently in 2017 with the Grand Ledge Madrigal Men. Sheri has had the privilege of directing the 2009 SSA Middle School State Honors Choir and the 2013 SSAA High School State Honors Choir. Sheri actively serves as an accompanist, playing for MSVMA and ACDA conferences, workshops and Honor Choirs. She is also an adjudicator for MSMVA festivals and events. Mrs. Petersen spent two summers teaching at Interlochen Arts Camp at the All-State Choir program. She directed the SSA Middle School Choir at Blue Lake Fine Arts Camp from 2010-2014. Sheri was the recipient of the Carolyn Leep Scholarship in 1999 and is an active member of MSVMA and ACDA. She served as the Chancel Choir director at Holt United Methodist Church, 2005-2016. 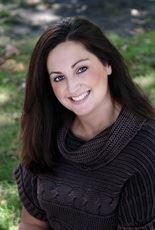 Sheri resides in Lansing with her husband, Cory and sweet little dog, Lola. Katherine Rohwer is in her tenth year of teaching at Lakeshore High School in Stevensville, MI, where she is the Director of Choirs and teaches music theory. Under her direction, the Lakeshore Choirs have consistently received Superior and Excellent ratings at District and State Festivals, garnered Michigan Youth Arts Festival (MYAF) nominations, and were selected for appearances at both the 2016 and 2018 MYAF Honors Recitals. The Lakeshore Chorale recently performed at the American Choral Director's Association Michigan Conference in October 2018. Katherine received her bachelor degree in Choral Music Education and Vocal Performance from Western Michigan University. She is an active member of the Michigan School Vocal Music Association (MSVMA) and the American Choral Director’s Association. She is also an alumna of the World Youth Choir, a project of the International Federation for Choral Music, European Choral Association, and Jeunesses Musicales International. As a member, she explored and performed a vast array of musical styles under the direction of renowned conductors, including a performance at the 2011 Nobel Peace Prize Awards Ceremony under the direction of Grete Pedersen. She is currently a member of the international chamber choir, Time Ensemble, and recently served as the alto section leader for the World Youth Choir’s July 2018 tour in China. In addition, she has served as the supervisor for the MSVMA State SATB Honors Choir and as the District 6 Manager. She is currently filling the position of Secretary for the MSVMA Board of Directors. Dennis is a graduate of the Detroit High School of Performing Arts where he studied voice and served as student accompanist. He is well known for serving in the church as a music minister, worship leader, director, organist and soloist. Dennis is also the past assistant music director of the Mosaic Youth theatre of Detroit (2009-2012) and recently returned to serve there as a music assistant. He has also served as the music director of the Farmington Hills Youth Choir and Wayne State University Black Theatre Department. Dennis earned his bachelor’s degree in music education from Wayne State University and master’s in the art of teaching from Marygrove College. He has served students throughout metro Detroit in both public and charter schools, teaching choral and instrumental music. He is currently the Choral Director at University Liggett School, located in Grosse Pointe Woods, MI. Dennis has also served MSVMA as festival coordinator, district manager, and full board secretary. Fred Sang received his undergraduate and graduate training at Western Michigan University where he studied with Dr. Ellwyn Carter, Thomas Hardie and Mel Ivy. Fred retired from Portage Public Schools after thirty two years of teaching. During those thirty two years he taught in London England, Constantine, Hartford, Paw Paw and Portage Michigan. His public school choirs received consistent Superior ratings at District and State Choral Festivals. His students have recognized Mr. Sang by nominating him to Who’s Who Among Americas Teachers nine times. Since 1992 he has been involved with the Kalamazoo Children’s Chorus and in 1999 was named the artistic director. Since 1999 the chorus has grown from two ensembles and 100 choristers to six choirs and over 220 singers with a staff of nine. Currently there are four choirs at the main campus with two satellite ensembles serving the minority communities of Kalamazoo; The Eastside Choir that rehearses and practices in their neighborhood on the most under- served side of Kalamazoo and the Coro de Niños, an ensemble for children of Hispanic origin. The Coro de Niños is lead by a director and accompanist who are bilingual. In 2015 Mr. Sang was awarded the Community Arts Award for Arts Leadership in Kalamazoo. Mr. Sang is an active clinician and adjudicator for Michigan School Vocal Music Association. He served as co- manager of Michigan School Vocal Music Association District XI and Regional and State Honors Choir Coordinator. He was selected by his colleagues around the state to be the SSA Middle School State Honors Choir Director in 2012. He began a music program for the students of the Van Buren Intermediate School District’s Behavioral Education Center, a building serving children with severe emotional issues. The program provides general music to the students in that building K-12. Fred also served two terms on the board of The Kalamazoo Bach Festival. He has been invited to conduct festival choirs throughout the state. He is also active as a mentor for teachers and maintains an active schedule visiting classrooms in the public schools. Fred also finds time to direct the chancel choir of Portage Chapel Hill United Methodist Church. 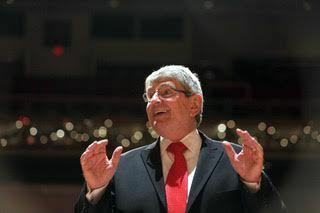 He continues to act as a consultant for and advocate of choral music in the public schools and the community at large. Mandy Mikita Scott is in her sixteenth year of teaching, and her eleventh at her alma mater, Rockford High School, where she is Director of Choirs and teaches over 200 students in four ensembles. She feels privileged to be on a team with her husband, Jed Scott, who directs the Rockford Aces and volunteers much of his time to support the choir program, and Renee Vande Wege, who directs the Rockford Freshman Choir. 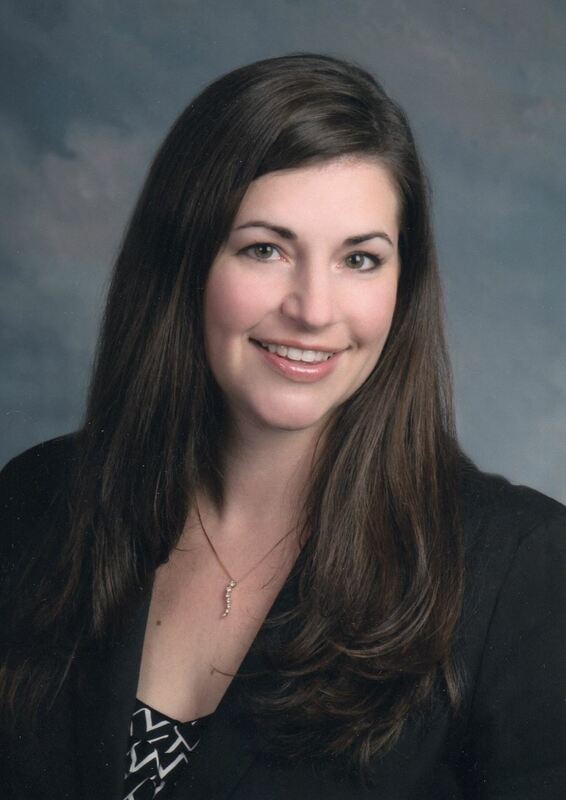 Mandy studied at Western Michigan University with Joe Miller and Steve Zegree and received her Master of Music in Choral Conducting from the University of Miami with Jo-Michael Scheibe. She is grateful that her choirs have had the opportunity to perform in Carnegie Hall, the National Cathedral, the World Choir Games in Riga, Latvia and St. Peter’s Basilica in Rome, Italy. Her choirs have also performed at both the ACDA-Michigan Fall Conference and the Michigan Music Conference. 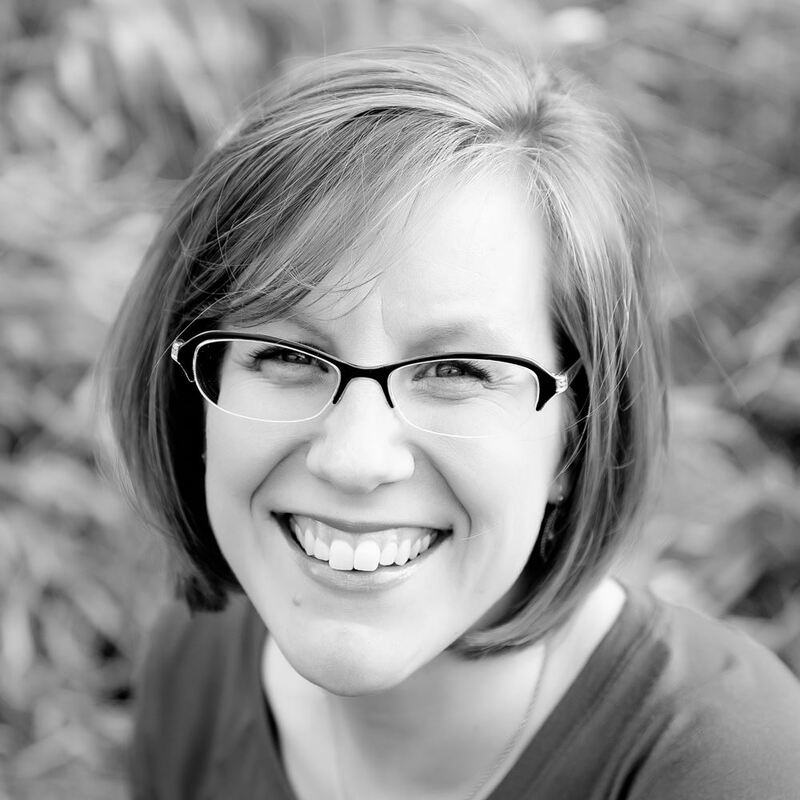 Mandy was the Michigan High School SSAA State Honors Choir conductor in 2014, and has served on both the MSVMA Full Board as High School Repertoire chair and Executive Board as the Director of Sight Reading and Music Selection. Most of all, Mandy has had fabulous choral opportunities in her career thanks to her incredible husband and family. Together they have spent time with Alice Parker on her farm in Massachusetts, hosted The Real Group in Rockford, and written poetry with her youngest, Daniella, for an Andrea Ramsey composition. Mandy and Jed and their three children, Owen, Julian and Daniella, will be headed to the World Choir Games 2020 in Belgium for their next great choral adventure. Julie Anne Smith has been a choral director in the Berkley Public Schools for twenty one years. During that time, her middle school and high school choirs have repeatedly received excellent and superior scores at both the district and state levels. Smith completed her bachelor’s degree in music education at Eastern Michigan University, her master’s degree in choral conducting from Oakland University, and has started working toward a Ph.D in music education at Oakland University. In addition to teaching musical excellence, Ms. Smith has worked tirelessly in her tenure at Berkley Schools to provide opportunities for her students. When physical space for the program was slim, she has led a coalition of parents, students, and community members to turn a forgotten little theater into a beautiful new choir room. When school funding alone proved inadequate, she established Berkley’s first ever vocal music booster group, now a 501(c)3 nonprofit organization offering scholarships and immeasurable support to the program. When her students sought more opportunities for growth, Smith founded the district’s private voice lesson program, making lessons accessible and affordable to all interested students. In an effort to inspire a love for travel and exploring global places of musical significance, she has led two European choir trips for her students and will this April, 2019, lead her third. While in Berkley, Smith became an International Baccalaureate certified school evaluator, workshop leader and trainer while teaching at Norup International School. She was one of two music teachers selected from the Americas to go the the IB Academy in San Juan, Puerto Rico in 2007. Smith has overseen numerous student teachers, serves as a consistent mentor to new music teachers in the district, and has been a leading member of the music team that has earned Berkley Schools the title of NAMM’s “Best Community for Music Education” for the last seven years running. Ms. Smith has also been the Director of Operetta Workshop of the Michigan Opera Theater in which time she has directed seven Gilbert and Sullivan operettas on the mainstage. Her love of performing continues at the First Presbyterian Church of Royal Oak where she has been the Mezzo Soprano soloist and alto section leader for the last four years. When six saplings from the Anne Frank tree were distributed across the globe, a cantata entitled “My Name Is Anne Frank” was commissioned to honor the event. The world premiere, in collaboration with the Holocaust Museum, was performed at Berkley High School with Ms. Smith’s choirs and the Berkley High School Orchestra. Ms Smith has been nominated for this honor by a former student, now her choral colleague in Berkley Schools. Bryce Thompson is committed to music making at the highest level while developing a culture in which his students value the process, value the product, and value each other. Thompson serves as the Director of the Lake Orion High School choir program. Thompson’s students strive for musical excellence by applying attention to detail and by internalizing the music they perform in order to create heartfelt performances. Under his direction, the LO choir program has received top marks at festival, won regional and state competitions, and have been featured at the Michigan Youth Arts Festival as well as at the Michigan ACDA state conference and the Michigan Music Conference. The LO choirs often premiere new works, frequently share the stage with collegiate choirs, and have performed in beautiful performance venues in Chicago, Cincinnati, Grand Rapids, Detroit, Orlando, St. Louis, New York, and Nashville in recent years. They have also performed with Grammy winning artist, Eric Church. In addition to teaching high school choral music, Thompson has taught elementary general music, middle school choir and secondary band. He teaches private lessons in voice, trumpet, piano, and guitar. 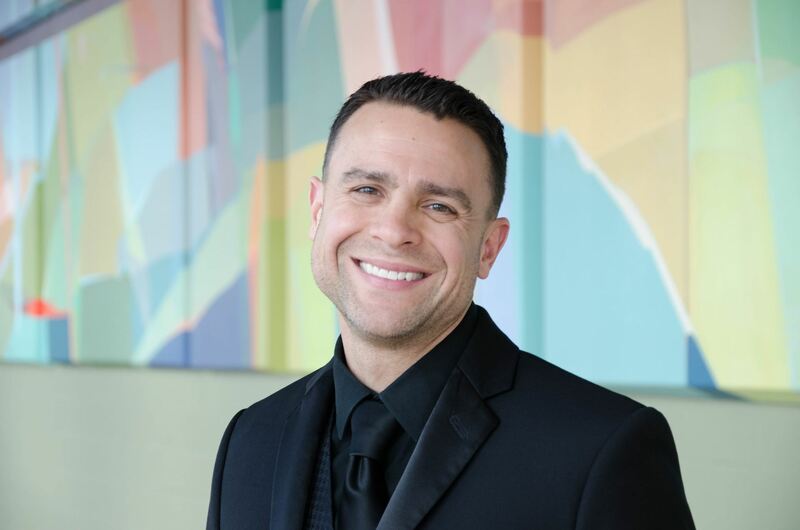 Thompson holds a Master’s degree in Choral Conducting from Michigan State University and a Bachelor’s degree in Music Education with dual emphases of Choral and Instrumental Music from Indiana Wesleyan University. Thompson served as the Assistant Conductor of the Indiana Wesleyan University Chorale under Dr. Todd Guy. Thompson has studied choral conducting with Dr. Todd Guy at Indiana Wesleyan University, Dr. Jerry Blackstone, Dr. Mary Hopper, Dr. Eugene Rogers, and Dr. Julie Skadsem at The University of Michigan and Dr. David Rayl and Dr. Jonathan Reed at Michigan State University. His wife, Jenna, and five young children, Micah, Liam, Elijah, Theodore, and Eleanor inspire him to be the best man possible while bringing him immeasurable joy. Dr. Brandon Ulrich has taught at Stoney Creek High School and Hart Middle School (Rochester) since 2002. Recently appointed Artistic Director of the Madrigal Chorale, he also serves as Director of Music Ministries at Northminster Presbyterian Church and Choirmaster at Congregation Shaarey Zedek. 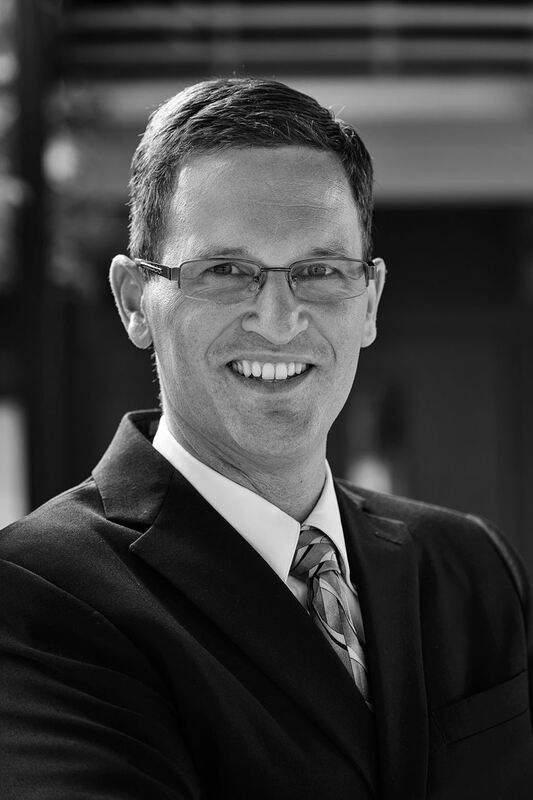 Dr. Ulrich holds degrees from Southern Oregon University and Michigan State, currently serves on the MSVMA Board of Directors as Director of Adjudication, and frequently presents at conventions. His ensembles have performed at the Michigan Music Conference, ACDA State and Central Division Conventions and MYAF; frequently perform with the Detroit Symphony and the Detroit Chamber Winds; and tour internationally every other school year. His compositions and scholarly editions are published through Boosey and Hawkes, MusicSpoke, Colla Voce, and Musicatus Press. 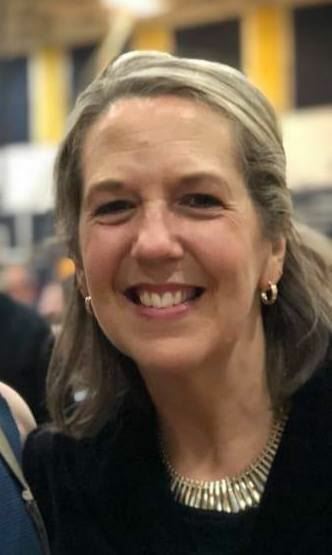 She taught at Bridgman High School as the choral director for six years and at Lake Michigan College for ten years where she taught aural comprehension, music theory, and voice lessons. Currently, Carrie VanDenburgh is presently serving her eighth year as the choir teacher at Berrien Springs Middle and High School, where she teaches seven ensembles. Her first year at Berrien she had four choirs and 80 students total in choir, she now has 300 students in the choral program at Berrien. Her choirs continually receive Superior ratings at the district and state levels and have traveled and performed in New York, Washington DC, and Walt Disney World. She was selected as the MSVMA Honors Choir Director for 7-8-9 SSA Choir for January 2019. She currently is the Choir Director at Harbert Community Church as well. She is a part of The Three Divas of Southwest Michigan a group that uses their background in opera, musical theatre and jazz to entertain the Southwest Michigan area. Joel Van Houten recently retired after thirty-five years of teaching vocal music at the Greenville Public Schools in Greenville, Michigan. His duties included directing the four high school choirs and overseeing the K-12 music, theater and auditorium departments as Performing Arts Department Head. In June of 2005 Joel received the prestigious Greenville Schools “School Bell Award” presented by the Greenville Schools administration. At the high school he received the Outstanding Professional Apple in 1992-93 and 2004-05. Joel also received the Ninth District Michigan Veterans of Foreign Wars Outstanding Teacher Award in 2005. In 2018 he was nominated for the Montcalm Intermediate School District Make A Difference Award. 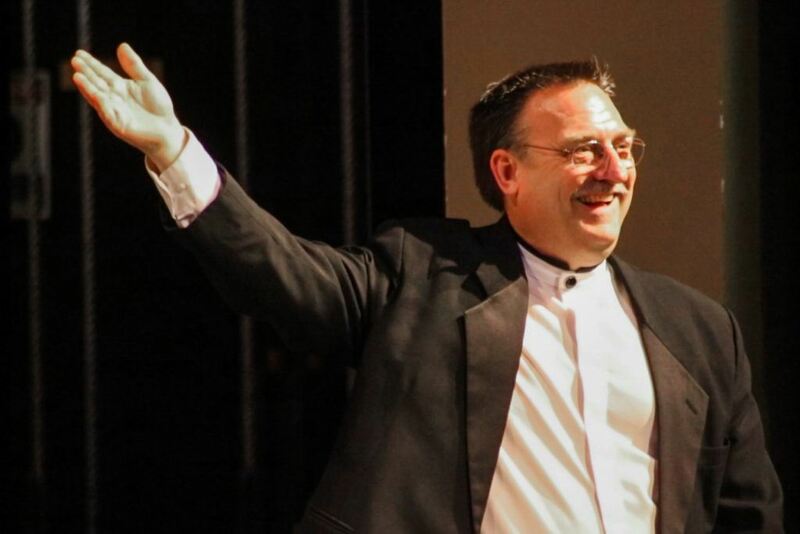 During his tenure at Greenville Public Schools, Joel developed a choral music program from two choirs with 36 students participating to the current program consisting of four choirs and involving over 200 students per year. He created the Village Green Singers, which has become one of the most sought after and entertaining show choirs in the area. The high expectations that he has for himself and his students allowed for continued growth and improvement in his individual students and his choral ensembles. One of his greatest joys is to step back and watch his students excel through music. Joel has been the vocal director for several Greenville High School productions including: Joseph and the Amazing Technicolor Dreamcoat, Godspell, Bye, Bye Birdie, Footloose, Music Man, Guys and Dolls, Grease, Cinderella. He Co-Directed Disney’s High School Musical & Little Shop of Horrors and Directed Legally Blonde. He has also been the vocal director for several community Melodrama and Variety Show productions raising money for the Greenville Area Community Foundation Performing Arts Endowment Fund, benefiting the Greenville Performing Arts Department. Throughout Joel’s career, he has been an educational leader serving on the District Leadership Team, K-12 Performing Arts Department Head (for 25 years), High School Tech Team, School Climate Committee, Crisis Team, Theater Advisor, which has allowed him to facilitate curriculum changes, professional development, technology upgrades, and provide long tern consistency within the district. Joel was instrumental in Planning, Facilitating the design of and Overseeing construction of the new multi-million dollar Performing Arts Auditorium and adjoining music wing. He was a founding committee member of the OUR 3 Endowment Campaign which raises money for an Endowment Fund housed at the Greenville Area Community Foundation. The interest money from this fund is given yearly to the K-12 Performing Arts department to help sustain program needs that have been lost due to past budget cuts. 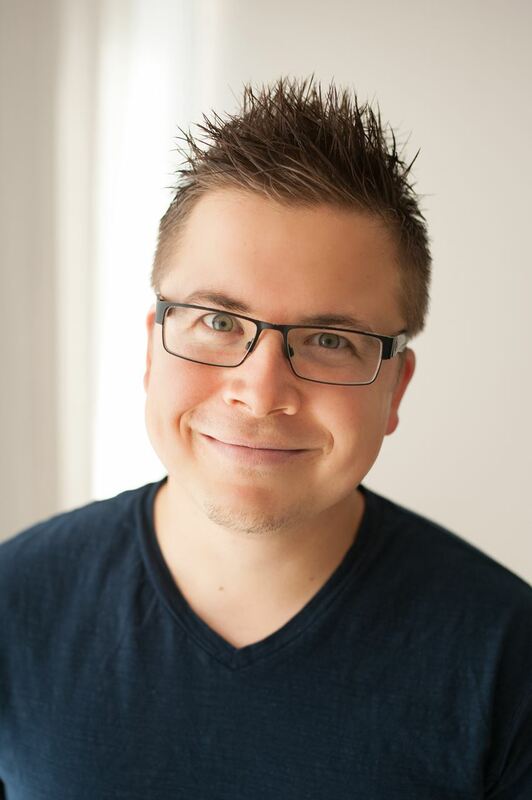 Joel is currently serving as the Director of Worship and Fine Arts Ministries for Hudsonville Reformed Church. He has been involved in Music Ministry for over 38 years in the West Michigan area, leading worship services, presenting Christmas Cantatas and directing multiple adult and youth choirs. Joel was born and raised in the Grand Rapids area. In 1988, he married Linda Hansen of Greenville, where they currently reside. They are the proud parents of their son Bradley and daughter Brianna. Joel enjoys singing, performing, boating, watching movies, and being with his family which also includes a Springer Spaniel mix named Chance. 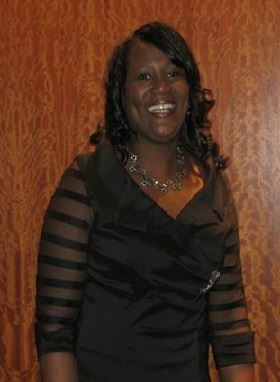 Theresa Williams-Johnson received her Bachelor of Music Education Degree from Western Michigan University, and during that time, she performed with many of the university’s ensembles. Her love for teaching children is very evident in the Kalamazoo area. She has taught music in the public schools for over 33 years. She was the director of choirs at Hillside and Linden Grove Middle Schools in Kalamazoo and is currently the choir director at Kalamazoo Central High School. Her choirs have participated in Michigan School Vocal Music Association events, including District and State Choral Festivals and District Solo and Ensemble Festivals, and they consistently received Division I/Superior Ratings. She has also had many students performing in the MSVMA State, All-State and All-State Jazz Honors Choirs every year. Theresa conducted the Michigan School Vocal Music Association SA State Honors Choir in 2010. 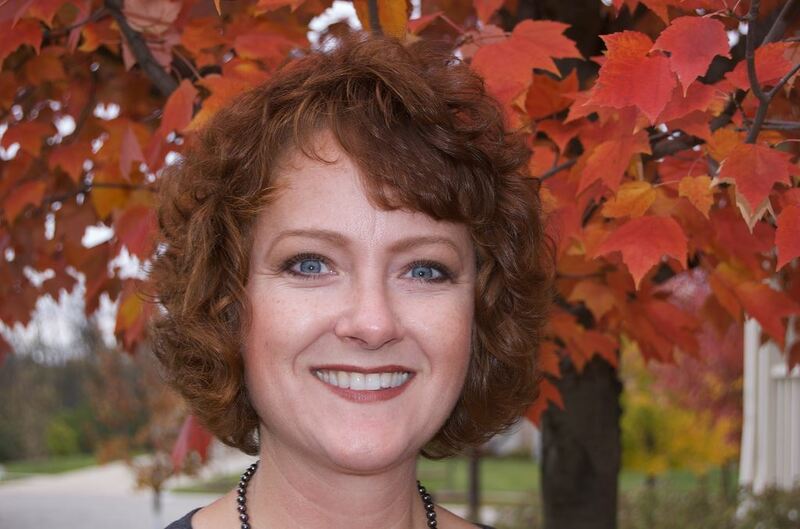 She is also the former director of the Kalamazoo Children’s Chorus Preparatory and Concert Choirs. 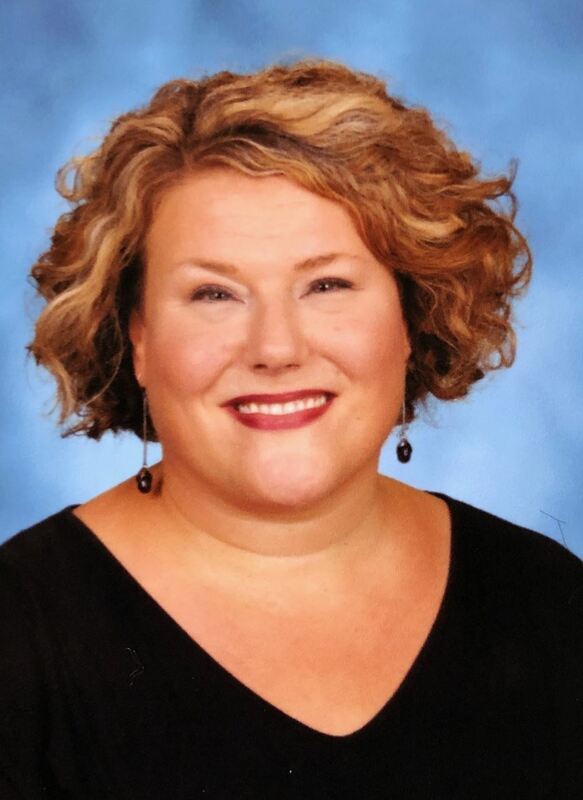 She was the recipient of the Kalamazoo Public Schools’ Medallion of Excellence Award, presented by the Kalamazoo Education Association in 1997 and the Excellence in Education Significant Educator Award in 2005 and 2017. In 2007, her Hillside 8th Grade Choir was selected to perform at the prestigious MSVMA Michigan Music Conference. Currently, Theresa is also the Coordinator of Music for the Tabernacle Church of God in Christ. Theresa resides in Kalamazoo with her husband, Todd and they have 2 adult daughters, Torian and Taylor. For the last fifteen years, Cate Windelborn has taught vocal music at Monroe Middle and High schools. Prior to this, she taught in the Oscoda Area Schools. Her choirs consistently earn excellent ratings at district and state choral and solo & ensemble festivals. Cate is most proud of her work fostering community and kindness in her ensembles. This allows her students to have a wholistic musical experience where musicality and fundamentals are taught side by side with compassion, empathy, and kindness. Cate serves MSVMA as the District 12 Co-Manager and organizes the HS events.Cate received her Bachelor of Music Education and Master of Music degrees from Central Michigan University and has done post graduate work at Vandercook University. When not busy with school activities, she enjoys spending time with family and friends, singing with the John Tyner Chorale, playing viola in her string quartet, and knitting. Gail Worden is in her 25th year of teaching. Her entire career has been devoted to the students of Birch Run Area Schools, where she was recognized in 2004 as their Teacher of the Year. Over that time, she has taken pride in building the choral program from one HS Choir of 24 members to five 6-12 choirs totalling over 200 singers. Choirs under her direction consistently earn excellent and superior ratings at district and state festivals. Her students are also active participants in the MS and HS state honors choir programs. Her choirs have performed in New York, at professional sporting events, and are frequently asked to perform in the community. Prior to teaching, Gail earned her BME and MA in School Administration from Central Michigan University. Gail has served MSVMA for over a decade in the Honors Choir program acting as SA, and SSA coordinators and currently is the supervisor of the 6789 State Honors Choir program. She also co-supervises the District 5 Solo and Ensemble festival each year. Gail has also recently started adjudicating for MSVMA events. Most importantly, Gail is a wife to her very supportive husband Glen and mom to two fantastic boys Evan and Emmett.